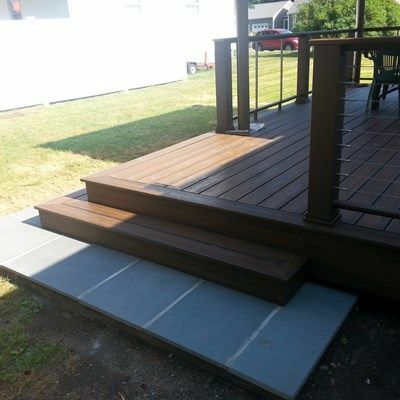 This beautiful ground level deck came out SWEET~! 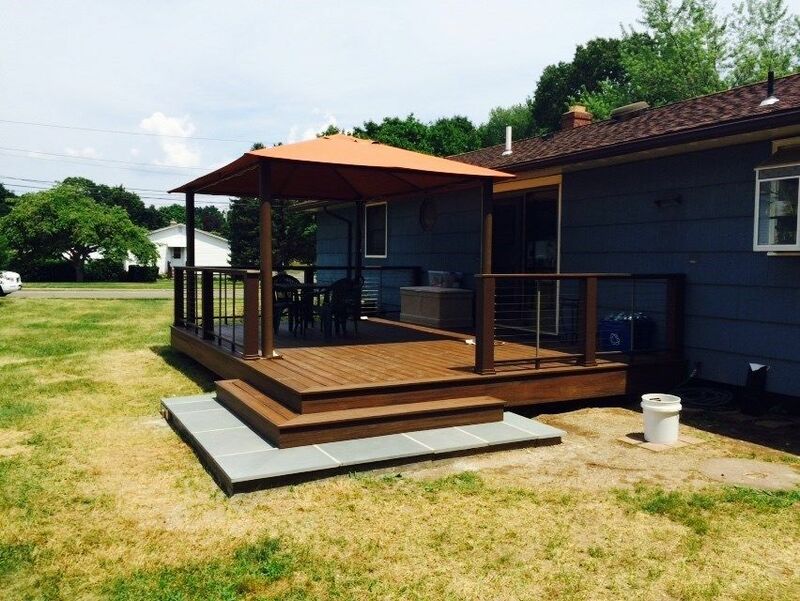 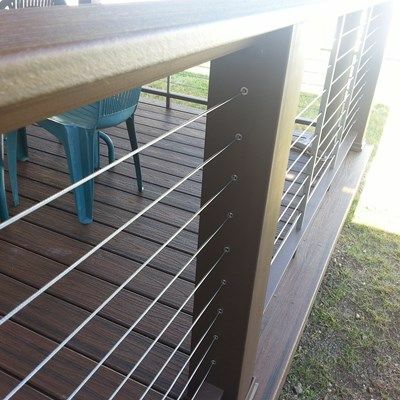 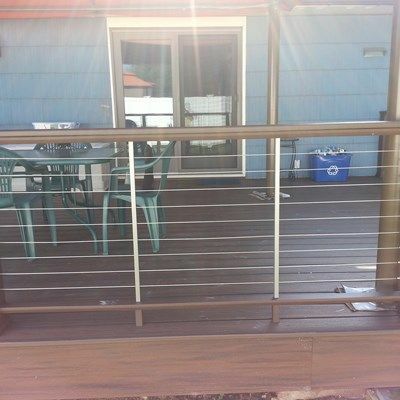 The railings are Timbertech's Contemporary Rail System with the stainless steel Feeney Cable Rail infill. 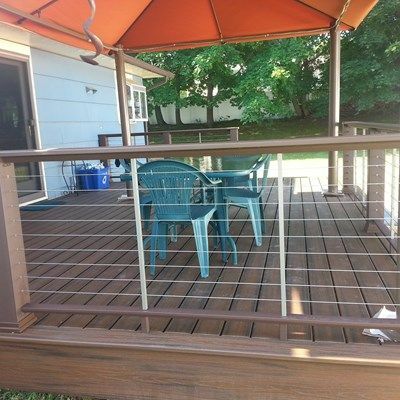 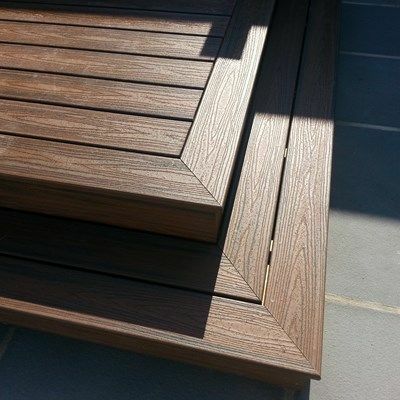 The decking is Trex Transcends in Spiced Rum.